Crikvenica is situated in the Kvarner bay at the Adriatic sea, at a distance of 35 kilometers from Rijeka, a big road and railway junction and the centre of the district of Primorje and Gorski Kotar, a part of which is also the town of Crikvenica. 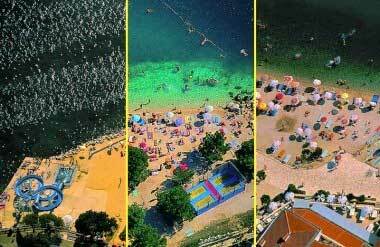 The whole town of Crikvenica is in fact a riviera with a row of almost connected small tourist resorts: Selce, Crikvenica, Dramalj and Jadranovo. 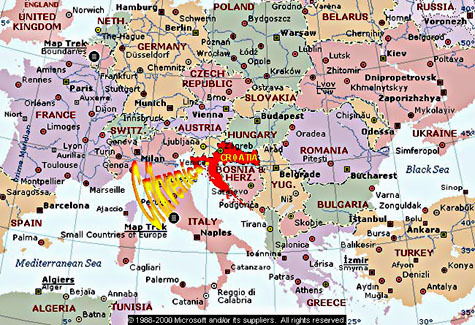 The town spreads on about 28 square kilometers in the coastal zone, which is about 15 km long and about 2 km wide, and is squeezed between the sea and the elongated littoral reef of an average height above sea level of about 300 m. The neighbourhood of the airport on the island of Krk, the passenger and the cargo sea ports in Rijeka, as well as a good road and railway connection with Middle Europe contributed to an early development of tourism which has in the region of the present Riviera of Crikvenica a tradition of more than one hundred years. Due to the favourable position of Crikvenica and its being sheltered from strong winds - from the north thanks to the slopes of the mountain of Kapela and from the south thanks to the island of Krk-its climate is mild and relaxing. The characteristics of the climate of this region are dry, fair and pleasantly warm summers and mild winters with a healthy local system of winds. The amplitude between the average annual temperature maximum and minimum is small. The centenary average of temperature is 14.2°C, and the average summer temperature is 23.6°C. Snow, fog and a temperature below 5°C are very rare. The temperature of the sea reaches in summer not more than 27°C. The sea air distinguishes itself by purity and by dispersed desirable oligominerals and there are no noxious pollen allergens or waste gases. Among the biometeorological data it is important that the TWH index (relation between temperature, speed of the wind and humidity) expressed as the feeling of pleasantness is very favourable for the most part of the year. 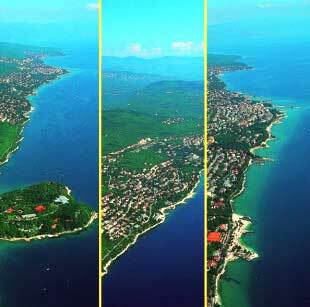 Owing to such climatic and ecological conditions the first tourists began to arrive in Crikvenica on an organized basis more than one hundred years ago primarily for medical reasons. Recreation, vacation and entertainment were only additional reaso ns. 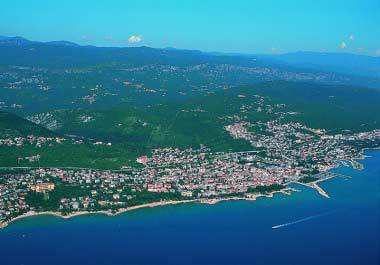 In 1906 Crikvenica was officially proclaimed a health resort and a seaside resort. The fact that balneotherapy, climatotherapy and thalassotherapy are highly valued in the most famous medical centres of Europe has prompted the construction of medical centres and establishments in Crikvenica. First a medical establishment for Austro-Hungarian officers and the children's home Ladislavovac were completed, followed by hydropathic establishments in the hotels Therapia and Miramare and the sanatorium of Dr Seidl, then also the Czech colony and the teachers' home Vila Ruzica. After the second world war establishments for thalassotherapy for adults and children were founded with in-patient clinics for curing and rehabilitation, particularly for illnesses of respiratory organs and rheumatism. The present Thalassotherapia is a well organized establishment equipped with most modern apparatuses and equipments. It offers to in-clinic patients and tourists a wide range of medical services in curing and rehabilitation. This institution serves for teaching purposes to the Medical School in Rijeka. The observation and investigation of meteorological, ecological and aerobiological parameters initiated a century ago are now being improved and scientifically elaborated.